When I walk among a grove of giant Redwoods, towering over 250 feet tall, I find myself humbled, instinctively speaking softly, as though visiting one of Europe’s great cathedrals. The forest seems even more primordial and mysterious when the fog rolls in, as though I have traveled back in time. 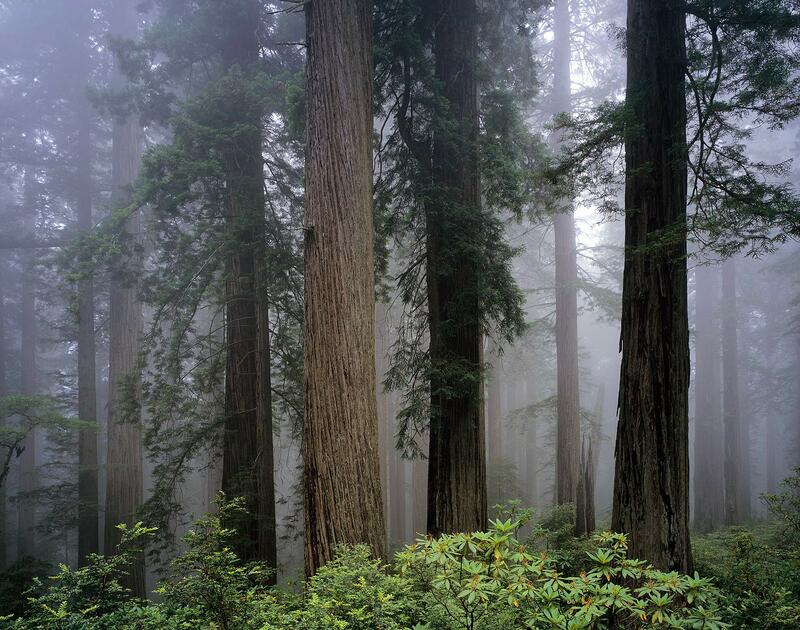 The fog is a significant source of moisture for the Redwoods in the relatively dry summer months, helping them grow to such great heights.